MAPLE BLOCK RAMEN NIGHT…WHERE RAMEN AND BEAUTIFUL SLABS OF HAND-CARVED PEACH WOOD SMOKED MAPLE BLOCK BRISKET COLLIDE. 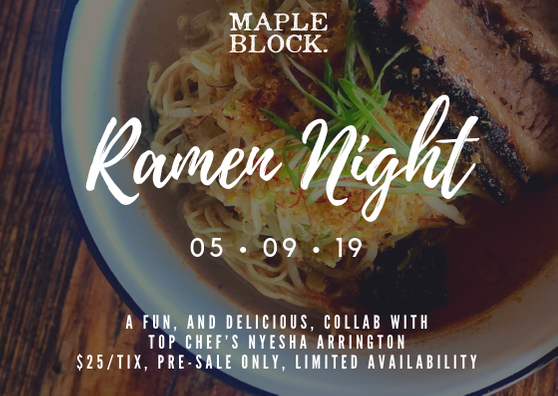 On Thursday, May 9, we’re partnering with Los Angeles Times’ Food Bowl for an exciting collaboration with Top Chef’s Nyesha Arrington for MAPLE BLOCK RAMEN NIGHT! This event is one night only at Maple Block; limited availability. WHAT: Tonkotsu ramen with pit-smoked shoyu and a slab of Maple Block peach wood smoked brisket. 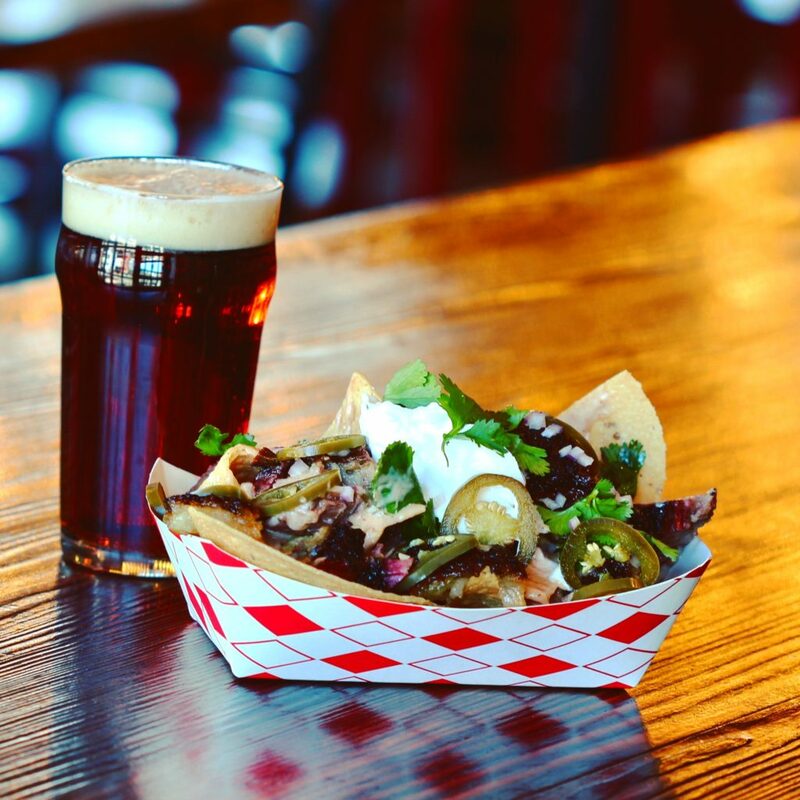 Off-menu food specials (…think smoked brisket grilled cheese, smoked brisket nachos), new beer cocktails and all draft beers $5. BBQ. 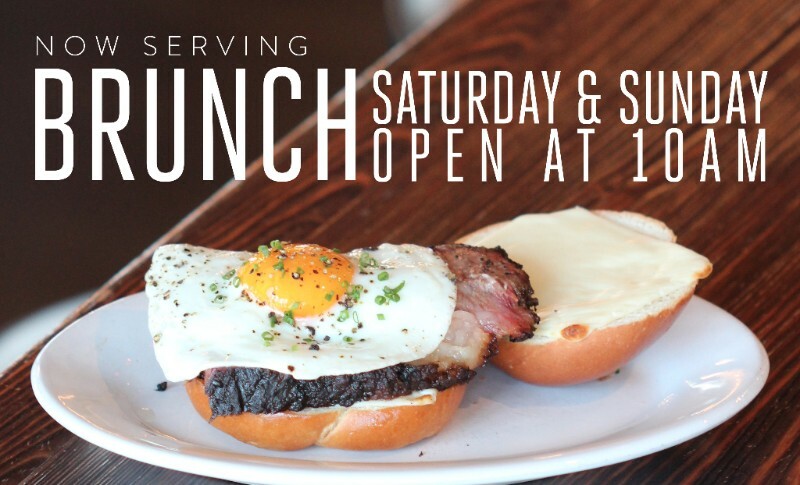 We are excited to announce that Maple Block is open for BRUNCH @ 10am every Saturday and Sunday!